It is rare to find people who even know about these basic four aspects of learning, even among educators! While in college and also in work on my graduate degrees, master’s and doctorate, I endured many professional education teachers droning on about the learning domains: cognitive, affective, and psychomotor…. Every professor had different versions. None of them really contributed much to the real world of learning (sorry professors). The biggest problem, other than the fact that they were so esoteric, was that all their students (most of whom were planning to become teachers) spent so much time learning different organizations of the learning domains they had little time left to learn how to teach. 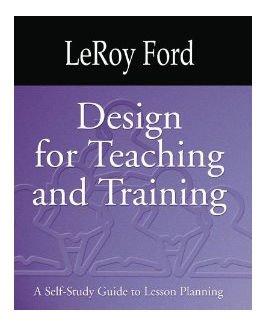 Fortunately, I eventually encountered Dr. LeRoy Ford. His books were outstanding. The most important concept he conveyed was not so much to ignore the learning domains, but to see learning in a more direct and helpful way—to look at it from the learner’s perspective. He identified all learning as originating in one or more of four essential experiences: developing knowledge, understanding, skills, and attitudes. And it is easy to see how people learn each of these in different ways. Without going on very far I will just share a couple examples. You can learn multiplication or spelling (knowledge) best with methods like drilling with flash cards. You can learn to understand something better using methods like expressing an idea in your own words. As you can see from the action steps menu, I have written a large number of articles taking advantage of these insights. There are understanding articles. These explain things like the difference between a standard IRA and a Roth IRA. Finally, there are attitude articles. 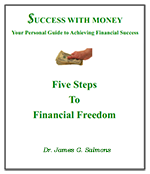 These help you manage and change your attitudes toward money such as your thinking about debt. I encourage people to learn a little from each area over a period of time. To help with this, as a part of our program I use the Success With Money Newsletter to encourage people review one of these articles every month. In the meanwhile explore them all and see the potential for knowing, understanding, developing skills and changing attitudes for greater success. And as you learn, rotate among the areas so as to develop a more rounded financial education. Good success with your money and your life. Our monthly newsletter is a key part of the Success With Money program. If you find the content of this site to be as helpful to you as I hope you will, please tell your friends and family about this opportunity to learn how they, too, can become more successful with their money. If you have a website or social media page consider sharing there as well. I would certainly appreciate it and I am sure those who follow your recommendation will thank you as well. Copyright© 2007-2019 Success With Money . All rights reserved.